• Non-functioning art installation for display use only. 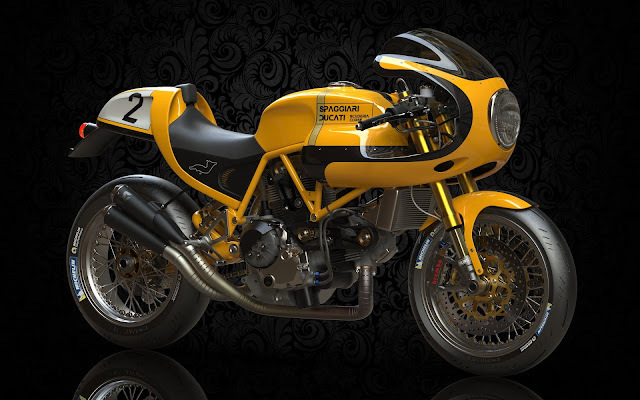 The unique creation offered here is a striking example of the 21st Century 'café racer'. 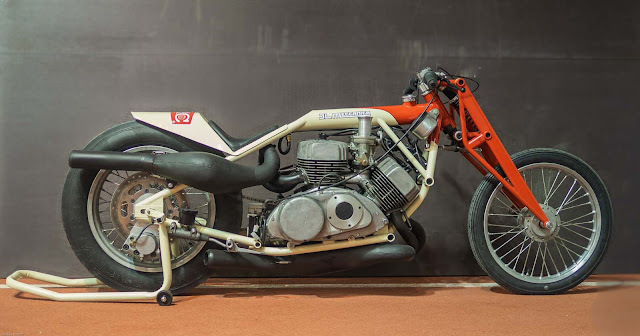 It was commissioned by Motul Corazón Foundation, the socially responsible charitable organisation founded in 2011 by French oil company, Motul under the aegis of the non-profit organisation, Fondation de France. Motul Corazón's global mission is to support initiatives aimed at underprivileged adolescents, who, wherever they come from and whatever difficulties they face, deserve a better future. Motul Corazón works with non-profit organisations around the world to finance projects helping adolescents overcome educational barriers, especially in the areas of mechanical and technical training and development. Motul Corazón has sponsored over 20 projects worldwide in the last three years. Founded in 1853, Motul is a world-class French company specialised in the formulation, production, and distribution of high-tech engine lubricants. 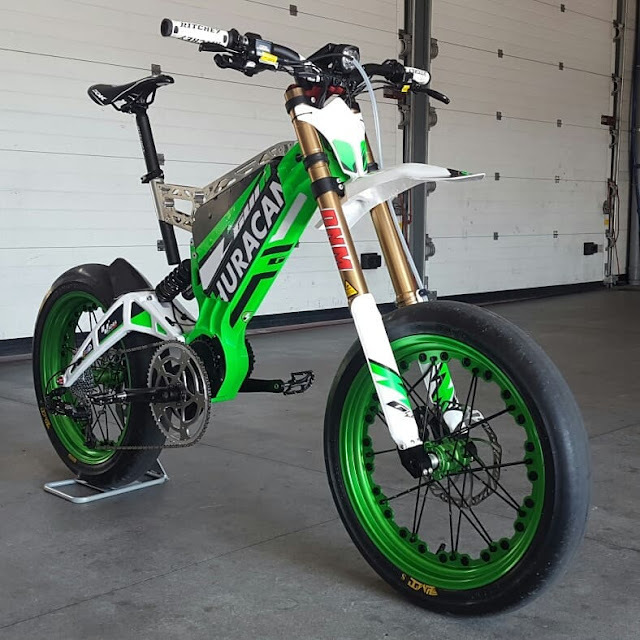 Motul supports teams in international competitions including the Le Mans 24 Hours (cars and motorcycles), MotoGP, World Superbike, MXGP, Endurance World Championship, Supercross, IoM TT, FIA World Endurance Championship, Pikes Peak, and scores of others. 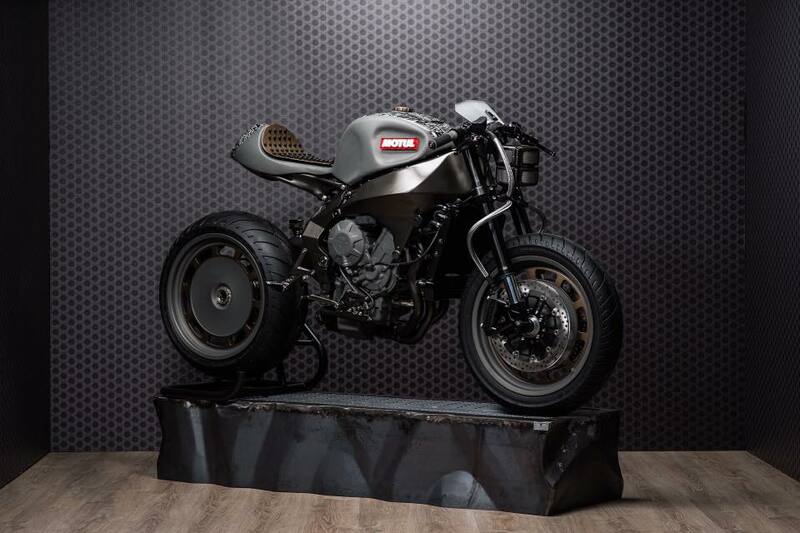 Commissioned by Motul and created by Luca Pozzato's Officine GPDesign workshop in Turin, Italy, the Onrika 2853 is based on an MV Agusta Brutale 800 'naked' roadster. 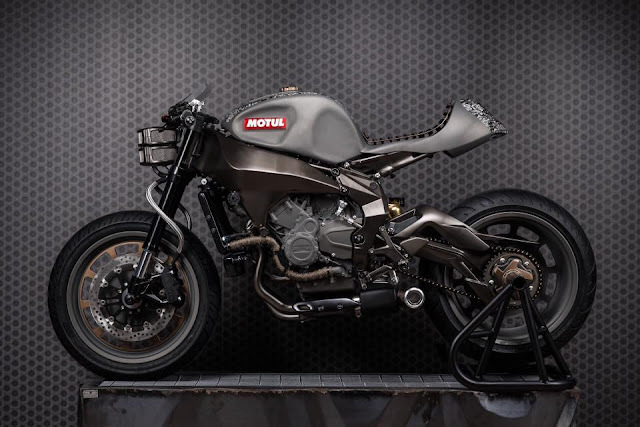 A unique and unrepeatable 'one off', it is a dream realised using suggestions and recommendations from different sectors of Motul's activities. The term 'Onirika' is a direct reference to dreams - the basis for future concepts - while 2853 is one thousand years after the company's foundation. Thus the name recalls the history of Motul, while also looking to the future. 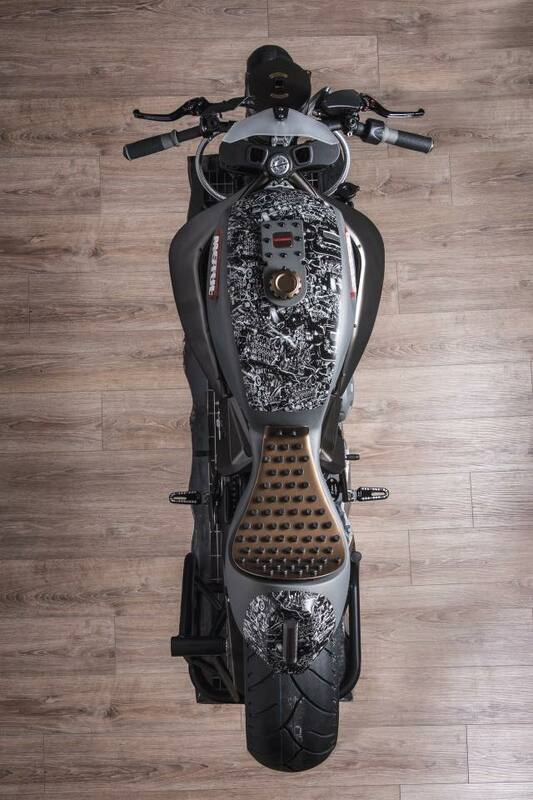 Merging advanced technology and tradition, the Onirika 2853 has been developed using specially manufactured parts, such as the wheels, and is an absolute work of art. 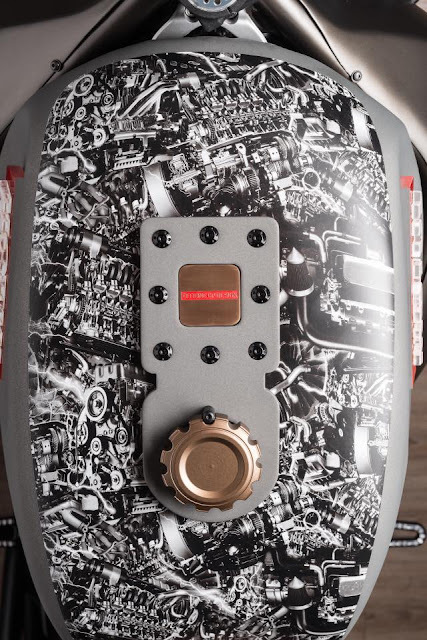 Boasting a dummy fingerprint recognition starting system, the Onirika 2853 features a handcrafted aluminium fuel tank with gears-themed decoration, which is finished by using the 'cubic paint' technique. Its cast-iron grey colour, the gear-shaped fuel cap, and the rich detailed textures are all references to Motul's universe. 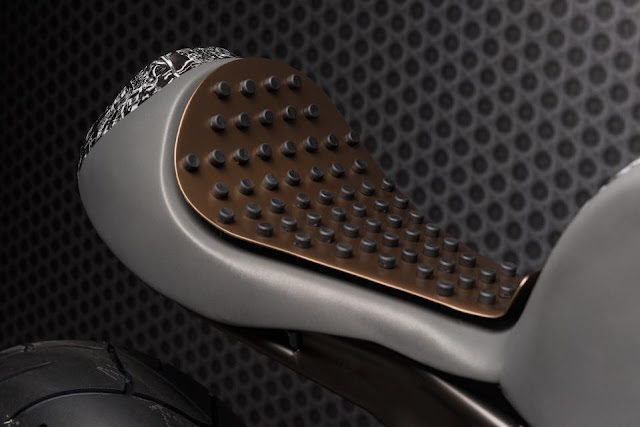 The wheels take inspiration from the car world, while their golden bronze colour recalls technology of the past. The front brake lines, together with the headlight grille, are reminiscent of factories' high-pressure hoses, while the chassis features paint with a unique metal oxidised finish. The LED taillight reminds the viewer of tiny oil droplets. 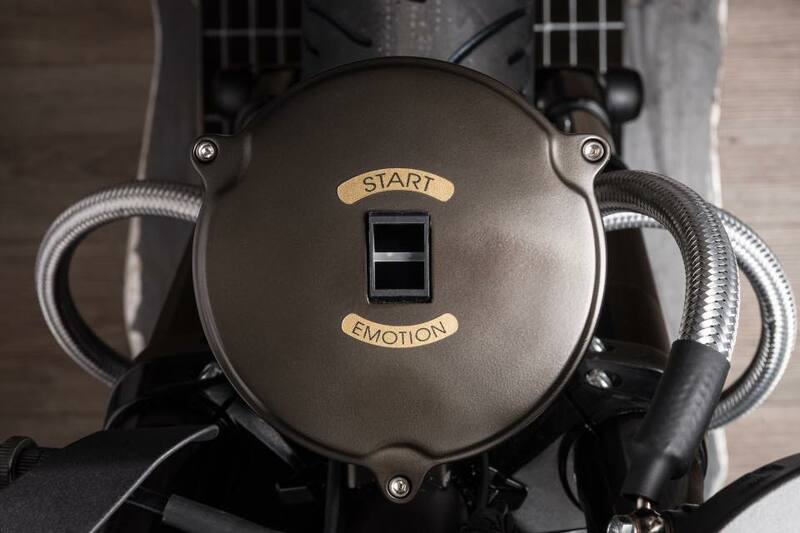 The Motul Onirika 2853 was first presented at the Motor Bike Expo 2016 in Verona, Italy. 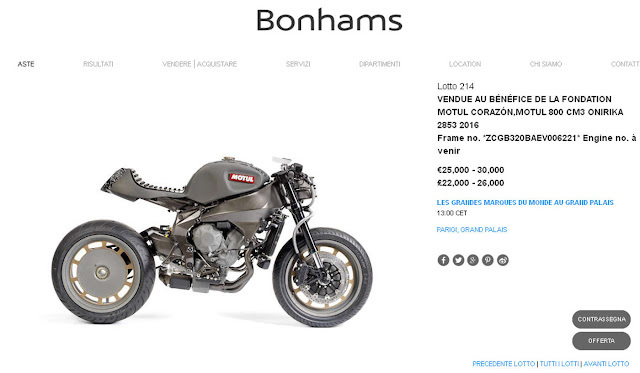 Worthy of inclusion in any important private collection, it has since been shown at key events such as the World Superbike Championship round at Imola, the Moto GP Grand Prix de France, Wheels and Waves, Le Mans 24 Hours Race, and the MotoGP Assen TT. Offered with manufacturer's Certificate of Conformity.